Halloween is without a doubt the creepiest and most frightening time of year, and some would argue the most fun! 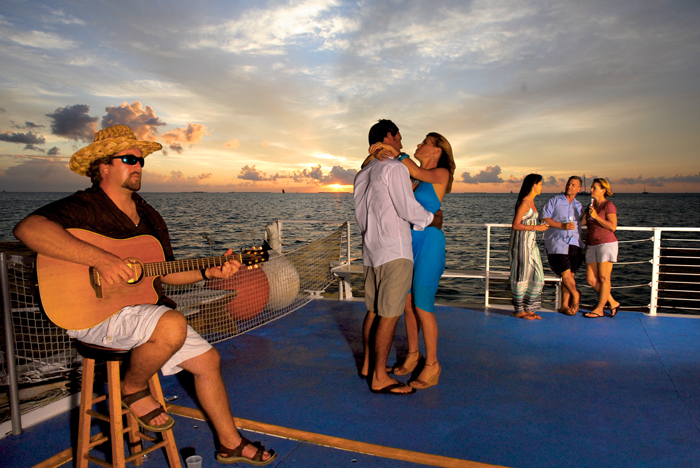 Key West is known for its extensive variety of attractions, from beautiful beaches to world famous bars. Did you know that the island is also filled with all sorts of Halloween-themed activities? Head on down to the Conch Republic this October 31st and prepare yourself for plenty of spooky and spine-tingling excitement. Read on to learn about the top things to do during Halloween in Key West. Although it runs all year around, the Ghosts and Gravestones tour is definitely a chilling adventure that could not be more perfect for this haunted holiday. 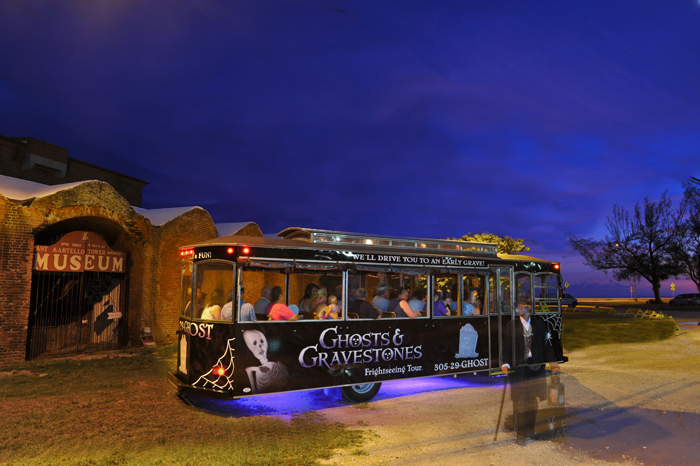 Hop on the Trolley of the Doomed, if you dare, where a Ghost Host takes you on an eerie ride to the most famous ghostly sites on the island. Visit Robert the Doll, a haunted toy who terrorized the lives of those who had the misfortune of interacting with him in the early 1900s. This “frightseeing” tour doesn’t end there, as you navigate through Old Town and learn about Key West’s most hair-raising and terrifying ghost tales. There is no better day than Halloween to experience some scary good times on a Ghosts and Gravestones Ghost Tour. Fury Water Adventures offers a special Parrot Head Commotion on the Ocean Sunset Cruise for a unique and entertaining way to experience the beauty of the island off shore. Although you can experience this sunset sail all year, this Halloween it is specifically tailored for those who love musical legend Jimmy Buffet. The Parrot Head Convention gathers “Parrot Heads” from near and far who all have a passion for Buffet and his music. Forget your troubles and sail on the Fury Catamaran this 31st with live music and complimentary drinks, including beer and margaritas! The party continues into the night, and the Duval Street Pub Crawl is the perfect place to do so. Duval Street is filled from beginning to end with a variety of bars featuring live music to suit all tastes. 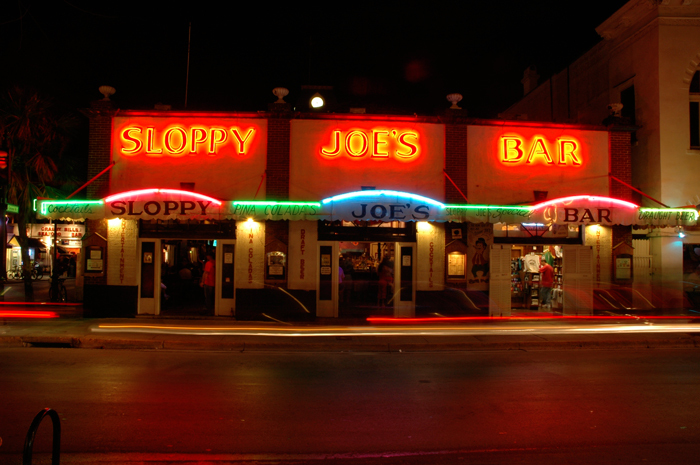 The pub crawl takes you to the best of the best, including the iconic Sloppy Joe’s Bar. Tourists can be seen exploring Key West’s most famous bars on any given night of the year, but this Halloween you can enjoy a beer or cocktail with fellow visitors decked out in amazing costumes! One of the most famous yearly events that draws people from near and far to town is Fantasy Fest. Several different events take place throughout this ten-day celebration. Costumes and body paint galore are seen left and right, while music and dancing line the streets. Don’t forget to watch the Captain Morgan Fantasy Fest Parade with over 50 decorated floats as they travel down Duval Street. Lastly, for the little ones who want to get their hands on plenty of candy, the Key West Botanical Garden hosts an Annual Screaming Green Halloween. This community event is open for kids to enjoy Halloween in an educational and fun way. Children can learn about ways to save the environment while dressing up, eating plenty of candy and jumping up and down in a bouncy house. This Halloween, Key West offers activities for all ages and interests. From street parties to sunset sails, you’ll find plenty of fun and spooky things to do. Grab your costume and head down to Key West for this year’s Halloween for plenty of thrills and chills.